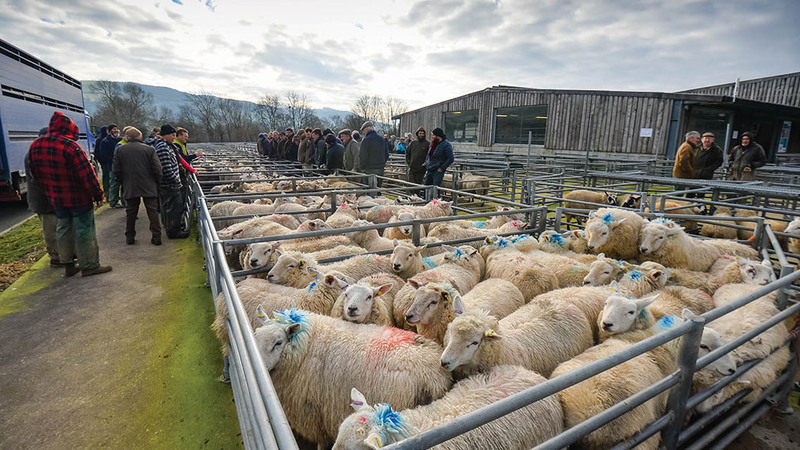 In prime sheep country, Welshpool Livestock Sales is able to draw its impressive level of throughput from the local area. Laura Bowyer speaks to the auctioneers. One of the largest sheep markets in the UK and in Northern Europe, Welshpool Livestock Sales averages a throughput of 4,500-5,000 lambs per week, having peaked at 15,000 two years ago. Most lambs are drawn from a 50-mile radius of the market, however they also attract consignments from south and west Wales. 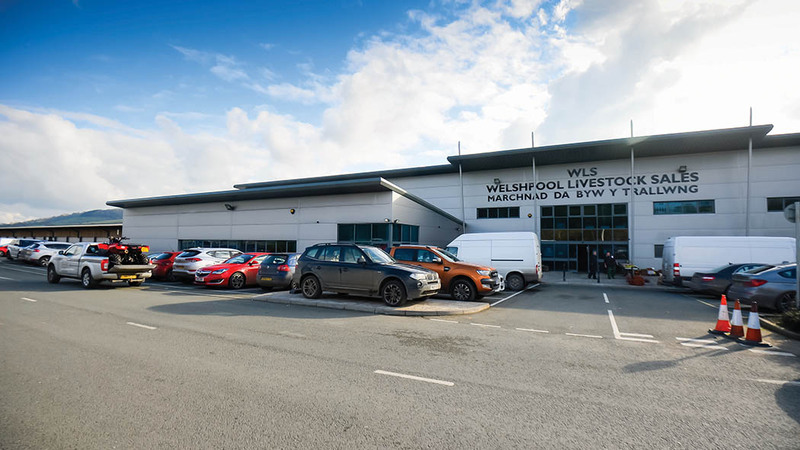 A Charolais Cattle Society sale opened Welshpool Livestock Sales for business on its new site in 2009 on what is just a stone’s throw from its previous position which now plays host to a Tesco store. Having been on the old site for a long time, the town of Welshpool had grown in size and expanded around the old market which had also become outdated, explains auctioneer Richard Evans. Owning and operating the site on the Welshpool by-pass, the auctioneering outfit has consisted of two companies, Morris, Marshall and Poole and Norman Lloyd, but plans are now afoot for the two firms to merge, with all agricultural operations moving to the market, creating an agricultural centre. And in the almost 10 years at the current site, they say throughput has increased over time and they now claim to be at the same numbers as before foot-and-mouth disease. Attracting 14 prime lamb buyers, they travel from as far away as Lancashire to take their pick from Welshpool’s sheep pens. Seasonal sheep sales are catalogued and Richard says this makes it more convenient for prospective buyers and for logistics within the market, largely in terms of pen allocation. Store cattle sales are also catalogued and buyers come from Yorkshire, the West Midlands and into the South West. Each ring is livestreamed online and Jonathan Evans, partner at Norman Lloyd, says although it is highly unlikely someone would buy an animal purely from the footage, he says it can be an aid to those who have already viewed the animal and want to engage in phone bidding. Screens are used in the rings to display cattle information such as weight, farm assurance status, eartag and vendor. Social media is used a lot for marketing and publicity, making up about 40 per cent of their advertising. Richard says: “It is a very useful and effective tool and involves a younger generation. 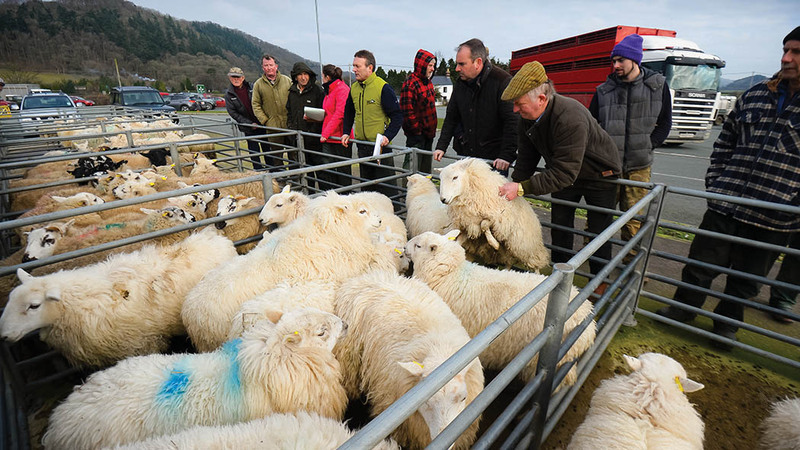 The market also staged a charity auction in November for James Corfield, the young farmer who tragically lost his life at last year’s Royal Welsh Show, which saw more than £30,000 raised in aid of Brecon Mountain Rescue. On discussing the future of the industry, Jonathan says: “The biggest threat we have as a business is an unsatisfactory trade deal post-Brexit. “There is also the increasing volume of paperwork and regulations and on top of that our business rates have doubled since last November. “Deadweight trade is always a concern, but it provides competition, which is good. The two have got to work together, particularly as the number of abattoirs are continually falling, reducing the competition in the marketplace. “Supermarkets say they do not have a steady seasonal supply of lamb, but we have a regular and consistent throughput here. To say there is not an all-year-round supply is untrue. Previous Article Live Happerley Challenge - Day 2: Caffeine, caffeine, caffeine!